This is how you do a proper send off. 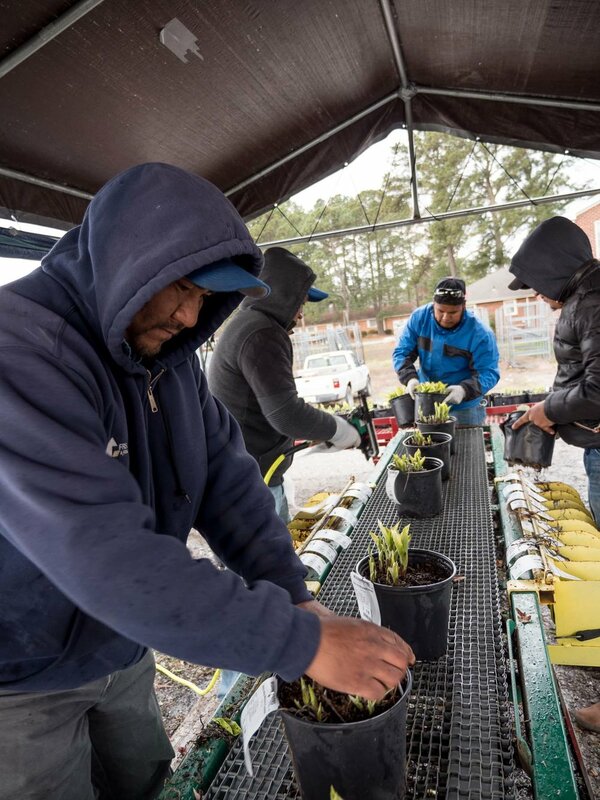 Lancaster Farms ships landscape plants to Landscape Professionals, Independent Garden Retail Stores and Plant Distribution Centers all over Virginia and the Mid-Atlantic States. Our plants are washed twice before they are loaded so they arrive ready to put on shelves or in the ground. We use rolling racks to ensure that plants arrive in the same condition as they left the farm. Rolling racks also speed up offloading plants to save your crew or team valuable time. For more information about our shipping solutions, send us a message or give us a call at (757) 484-4421 or (800) 336-2200.